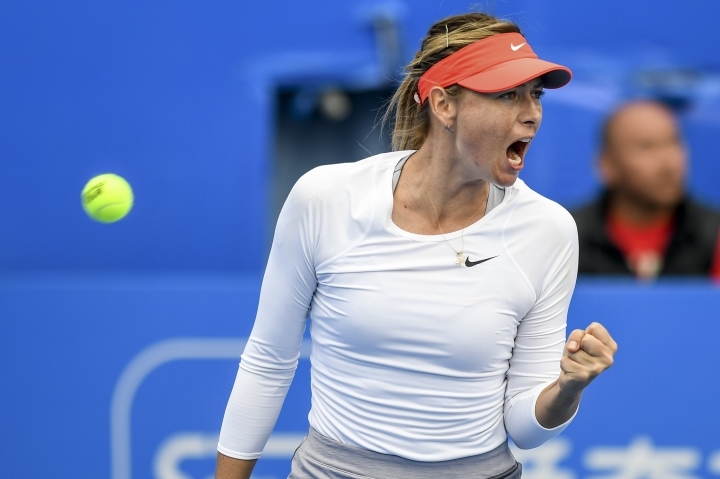 SHENZHEN, China — Maria Sharapova retired from her match at the Shenzhen Open with an injury on Friday, giving top-seeded Aryna Sabalenka a spot in the tournament's semifinals. The fifth-seeded Sharapova was trailing 6-1, 4-2 when she stopped because of a left thigh injury. Sharapova received off-court medical treatment between the two sets. "I think we both played well and then she got injured," Sabalenka said. "Hopefully she will get well soon." Sabalenka will next face Wang Yafan, who beat qualifier Monica Niculescu 2-6, 7-6 (4), 6-1. "I will do my best in the season to get to the finals here," Sabalenka said. "Last year I was so close, and so upset in the beginning when I did not make it, but this year I'm going to do my best, even better than last year." Alison Riske will face Vera Zvonareva in the other semifinal match. Zvonareva defeated Veronika Kudermetova 4-6, 7-5, 6-3, while Riske beat Sorana Cirstea 7-5, 6-1.